December is a jolly good month of happiness and merriment! And you cannot think of December without making preparations for the auspicious day of Christmas. Throughout the years the event has made its way into every nook and corner of the world, including every culture and tradition. In today’s world Christmas is celebrated as an international festival marking the birth of God’s own child, known by different names in different traditions. The festival may be separated by traditions and norms, differing with each nation, but it nevertheless unites people all around the world with a singular feeling of joyfulness and piety. No matter whichever part of the world you are in, you are bound to be smitten by the contagious gaiety that Christmas brings along with it. To get a flavour of the celebration around the world, here are a few unique Christmas traditions followed in different countries. Salvadorans have maintained the tradition of uniting families through lighting candles and bursting crackers, while people gather with hot chocolate and pineapple juice on the streets to observe the glee and glamour of the night. Being located in the southern hemisphere Brazilians celebrate Christmas in the warm summer weather. They bring out the essence of Christmassy feeling with decorations that involve false snow and taco bells. Apart from setting up the traditional Christmas tree, they also set up the nativity scene with the aid of children. 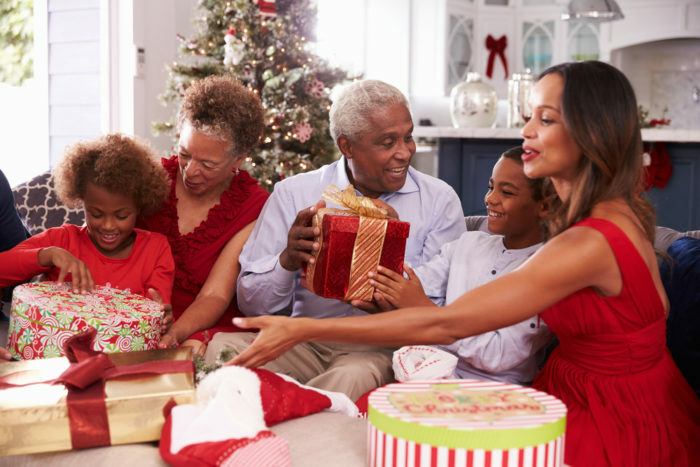 Christmas Eve, being the most vital day of the year is celebrated with grand family meals and exchanges of gifts during midnight. Columbians celebrate Christmas on the seventh of December, when the city lightens up with heavenly glow with illuminated candles and paper lanterns at night. The Christmas lights are also accompanied by music, most notably Christmas carols sung in the native language. It is impossible to dissociate Jamaica from reggae music, which bears new colours in the season of Christmas. The houses are freshly painted and the pepper lights impart extra grandeur to them. The most remarkable aspect of Jamaican Christmas celebration includes colourful parades and tantalizing street dancing. It is considered auspicious in Poland to follow a day of fasting followed by that of feasting. The eve of Christmas, the appearance of the first star is awaited in remembrance of the star of Bethlehem. With the first cry “the star has come out” the families rejoice and sit down for a splendid dining. The dinner is the most essential part of the celebration, which begins with the sharing of the holy Christmas wafer followed by a course of twelve different dishes which perhaps symbolizes the twelve Apostles of Christ. Hardly any other country is as cosmopolitan as India. The nation observes celebrations of every culture and tradition, of which Christmas is not the least. The British colonizers in India had constructed magnificent churches all around the country which is pompously decorated during this holy time, popularly known as the “big day” among its local inhabitants. The missionaries and families exchange gifts and distribute sweets symbolizing the spirit of togetherness. Although followed in numerous countries the hanging of stockings outside windows in expectations of a gift from Santa Claus was first observed in Canada. Table crackers, plum puddings and Christmas cakes are not hard to notice among Canadians. How do you celebrate Christmas? What are those unique Christmas traditions that you follow? Here’s wishing you a Wonderful Christmas! Read More: Travelling with parents- What it’s really like! Previous articleTravelling With Parents- What It’s Really Like!